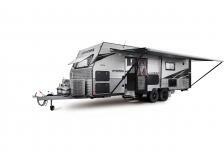 Universal Caravans manufactures top-of-the-range luxury RV’s. 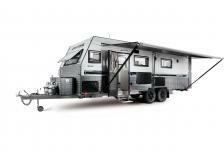 They are Australia’s leading slide-out van specialists. 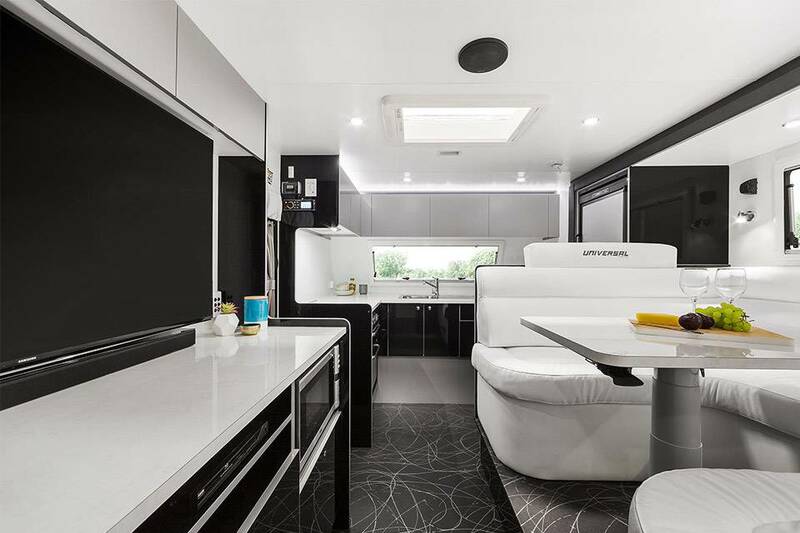 If it’s a luxurious lifestyle experience that you are looking for, then you have to check out the Universal range at Dave Benson Caravans. Luxurious comfort, unrivalled style, superior finishes and first class innovation are all hallmarks of the Universal brand. 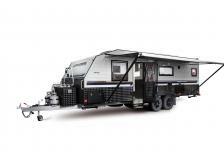 These superb vans are designed for the RV enthusiast who wants to enjoy the same level of comfort on the road as they do at home. 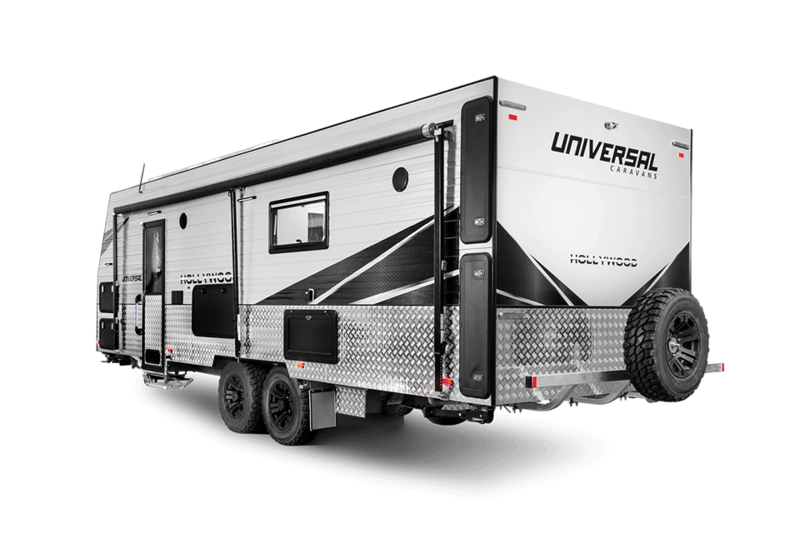 Universal Caravans prides itself on manufacturing premium slide-out vans, which are subject to stringent quality control standards. 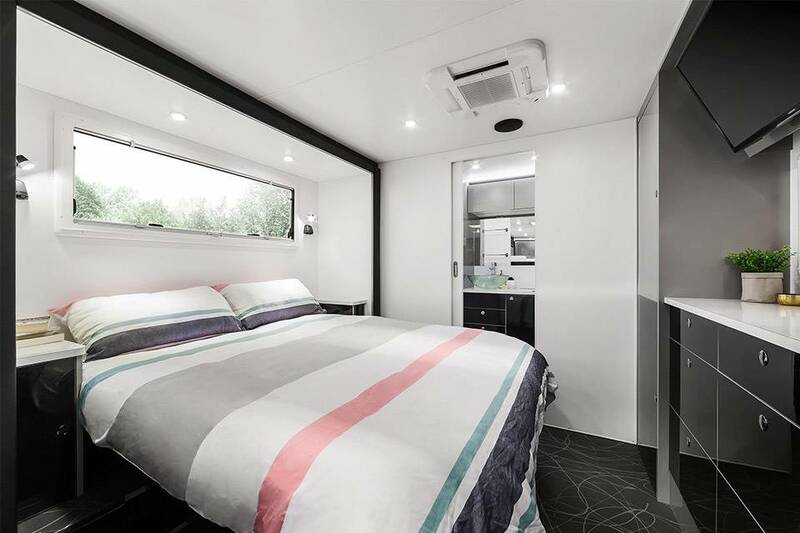 The aim of the team at Universal is to build caravans that offer superior levels of comfort and luxury and their stringent quality controls ensure consistent delivery of a high quality product. Every part of the manufacturing process, no matter how small or seemingly unimportant, is carried out with the utmost precision and care by the dedicated Universal Caravans team. Every stage of the manufacturing process is monitored closely, with stringent quality control ensuring great results every time. Components are sourced from industry leaders in their respective fields because only the very best is good enough. The result is a world-class luxury van, guaranteed to give you the lifestyle you’ve always wanted. 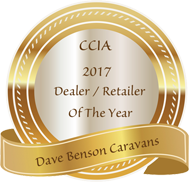 When you buy a Universal Caravan from Dave Benson Caravans you are guaranteed the best in after sales service. If you are travelling around Australia you will have the support of every Universal dealer no matter your location. 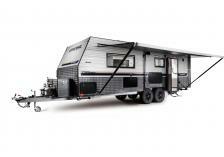 For further information and to get a closer look at the Universal Caravan Models contact the experienced team at Dave Benson Caravans.